If you read my review of Press Play's World Anthem album, you know how much I thoroughly enjoyed it! Well, I recently had the honor of interviewing Press Play's lead singer, Dave Hanley! My questions for Dave are in white, followed by his answers are in red. Enjoy, and be sure to leave your thoughts in the comments! I'm a big fan of Press Play. Can you give us a brief overview of how the band met/formed? Press Play was birthed out of the LA Dream Center and began as the main worship team there. In October of 2010, Press Play transitioned out of the Dream Center and began full time ministry and traveling. Dave, you actually started Dream Records back in 2008. What's that journey been like for you? I grew in Nashville and only wanted to be a part of the label music industry IF I thought that we (DREAM) could train, mentor and develop Music Missionaries. Teaching artists that it's not about them, their music or their talent - but it's all about how they live their life for Christ OFF the stage. Teaching them that's it's not the 30 minutes on the stage that matters but what they do with the other 23.5 hours. The new album World Anthem released September 27th. To you personally, what is the underlining message of the album? What would you hope people will walk away with? Our goal and purpose behind the entire World Anthem album is to bring hope and the knowledge, that through Christ, we ALL can make a change in our communities, nation and world, by putting God's love into action. The lead single off the new album is the catchy, upbeat "Three Little Words" which focuses on love. Why did Press Play settle on this track for a single, and what inspires the strong lyrics of the importance of telling others "I love you"? I believe the three little words "I Love You" is an international phrase that cross all languages and cultures and if we the believers, will not only put step out and say those words more often - but even more important, let's put those words into action. Show those around us that we love them God loves them. Other than "Three Little Words," do you have a particular song you are most excited about from World Anthem and why? Oh goodness, I humbly say that I love so many of the songs on this album but "World Anthem," "Let it Out" and "Just Like Lightning" have to be my favs. I love that their message drives home the love of Christ but it's done in a manner that reaches our target audience....and that is the LOST. I love how Press Play sounds straight from mainstream, though with a close listen to the lyrics it's encouraging, uplifting, and fun. What inspires this? 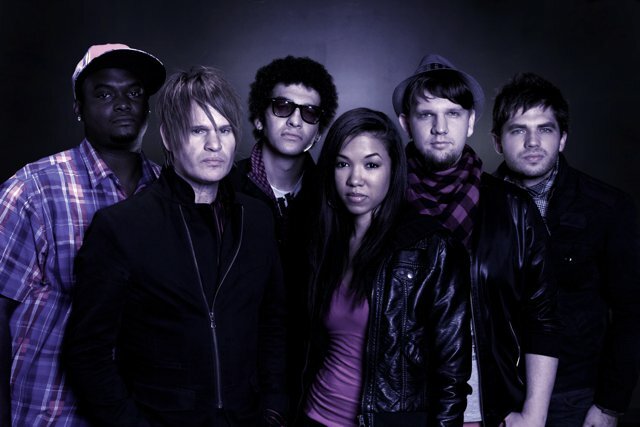 It was very cool to hear Manwell Reyes from Group1Crew appear on the World Anthem album! What was the best part about working with him? 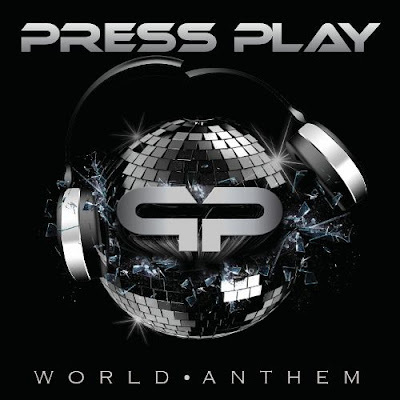 You guys at Press Play have amazing vocals! Does it come naturally, or is it something you've had to attain to? Aww thank you but those amazing vocals are probably not mine:) We are so thankful for God putting together all the right people and talents, so that this project can reach people. In the past few years in Press Play, what would you say is the biggest thing you have learned? We will always remember and know that it's NOT about us. It's ALL about the Lord Jesus Christ and those that Jesus gave his life for. We focus on that everyday. Thanks for your time, Dave! Got anything you'd like to say in closing? We truly thank you so much for all your prayers and support. Keep doing what you're doing because it is making such a difference in peoples lives. We sincerely thank you! I love how CLEAR their message is in the interview. These are the kinds of bands I WANT to listen to and follow! Wow! Great interview. I never really liked PressPlay much, but after all of that, I'm really liking them. Dave had great answers, and you had great questions. That was one of your best interviews yet! Superb interview! I just had to keep reading all the way. Both great questions, and answers. I look forward to reading future interviews! Thank you for the feedback, guys! I'm really glad you all enjoyed it. And yes, plenty more interviews are on the way! Awesome interview! I also loved how Press Play is not ashamed of the Gospel. I learned quite a bit about the band from this interview, which makes me like them even more! Thanks for doing the interview great job!